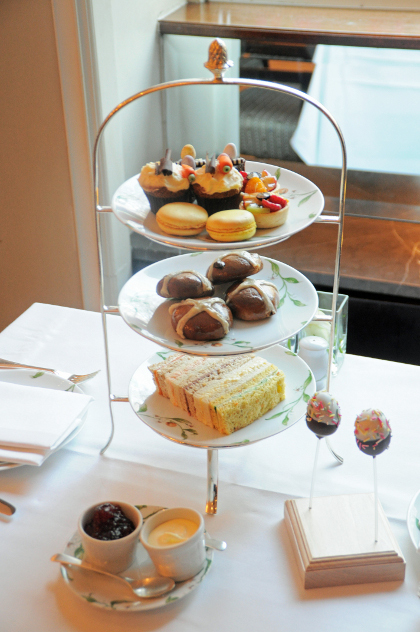 Hyatt Regency London - The Churchill is the ideal venue for a traditional Afternoon Tea. A member of the prestigious ‘Tea Guild', this five star hotel was awarded for the second year an ‘Award of Excellence' for 2011. 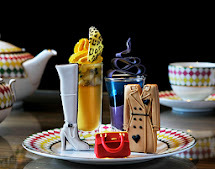 You can celebrate Easter in fine style Hyatt Regency London The Churchill with their Easter Afternoon Tea Menu that they will be running over the Easter period. Selection of traditionally British thinly sliced finger sandwiches on a mix of white, brown and flavoured breads. Home made Hot Cross Buns and warm plain and fruit scones served with generous portions of strawberry jam and Cornish clotted cream. Our patissier's selection includes Frosted Carrot Cupcake, Easter Egg Cake Pops, Chocolate Butter Cake with Mini Eggs, Shortbread Fruit Tartlet and Bitter Lemon Macaroons. The Montagu Easter Afternoon Tea is served with a choice of tea or coffee.